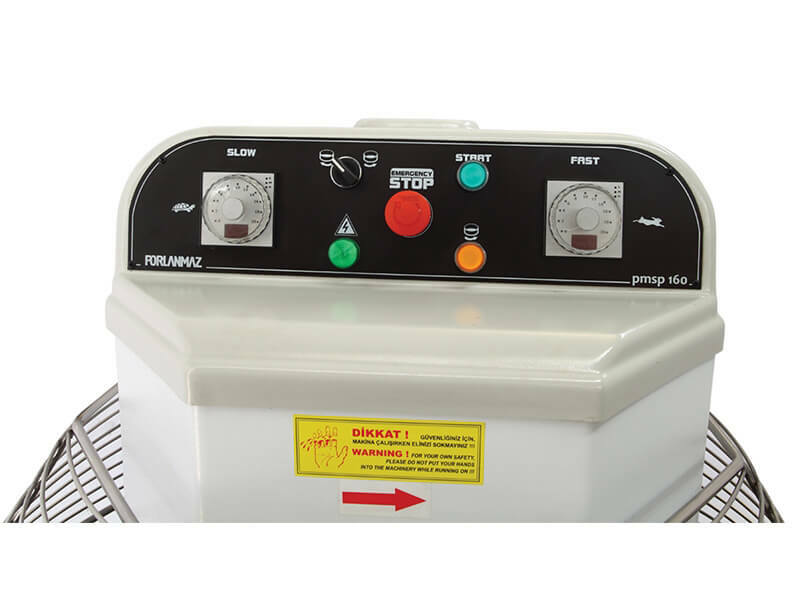 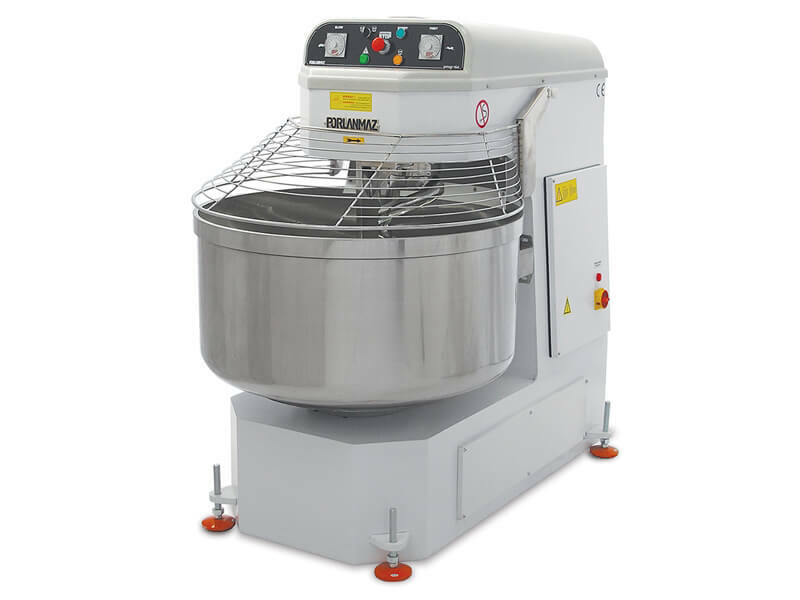 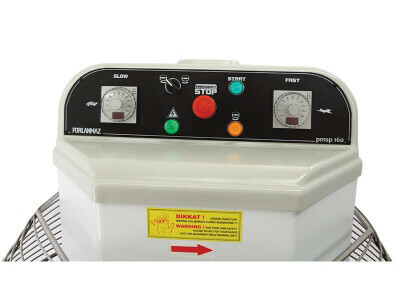 Spiral kneading machines are commonly preferred by bakery and pastry shops in order to shorten the usual kneading time. It enables to make very little flour to dough.This also provides more homogenate dough mixture and bigger volume bread. 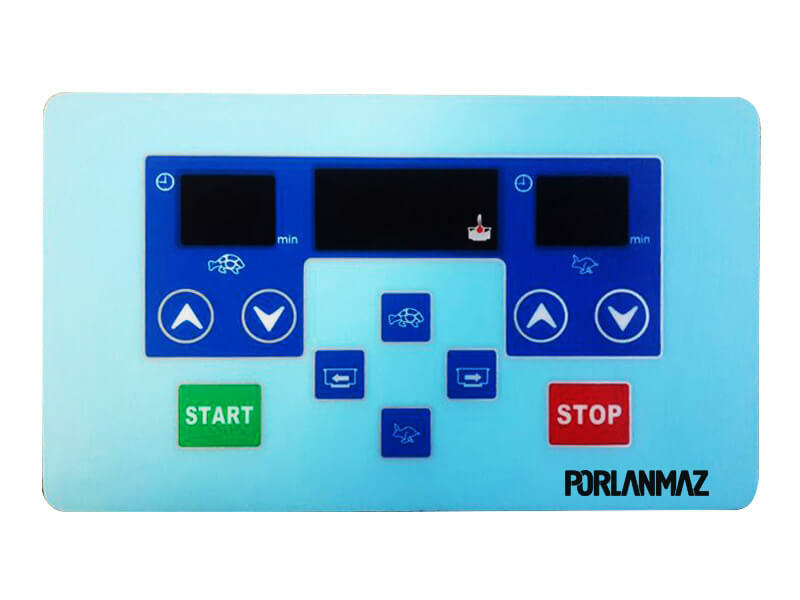 Machine works in manual and automatic cycle with two programmable timers. 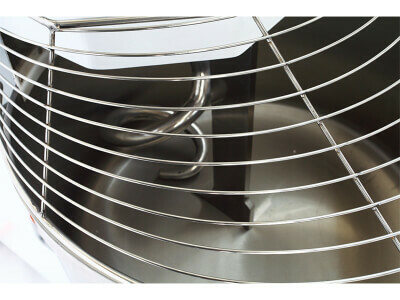 The bowl, spiral arm and bar are made of stainless steel. 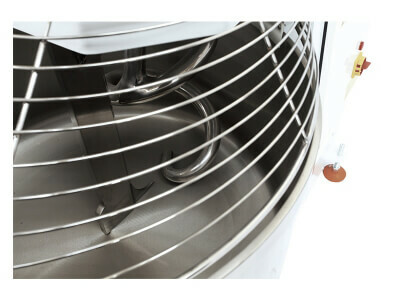 Reverse bowl rotation. 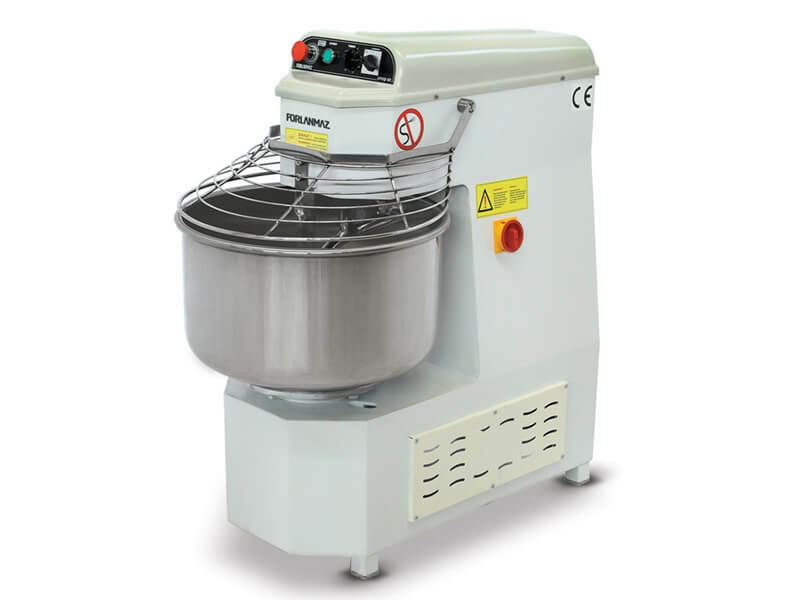 Due to belt transmissions of main power the machine noise level is quite low. 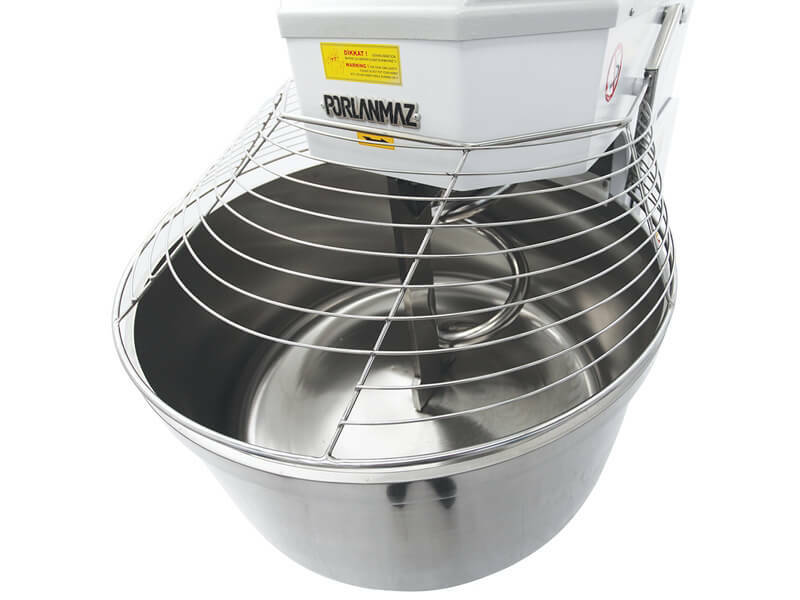 Mixer is mobile and there is a fixing device on the mixer.The emergency stop function and the security system on the cover are available. It can be moved easily thanks to its wheels.